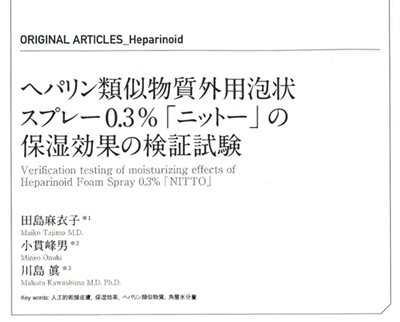 【Acknowledgement】We appreciate the assistance and support of Sato Masato, M. D., Ph. D., Tokai University. 【Acknowledgements】We appreciate the assistance and support of Ryuichi Morishita, M. D., Ph. D, the professor of department of clinical gene therapy, center of medical innovation and translational research school of medicine, Osaka University, and are grateful for helpful discussions to Yohei Tomita, M. D., Ph. D. laboratory of photobiology, Keio University School of Medicine. ©2014 yakujihou.com All Right Reserved.